Westinghouse Dynamo Alkaline AA Batteries provide power for a variety of household devices. Remote controls, toys, various electronics and flashlights can be kept running with the use of these batteries. Guaranteed fresh for up to 10 years, they are useful in devices that are not used regularly, and they supply power when they are needed. They use a mercury-free formula, making them safe as well as reliable. 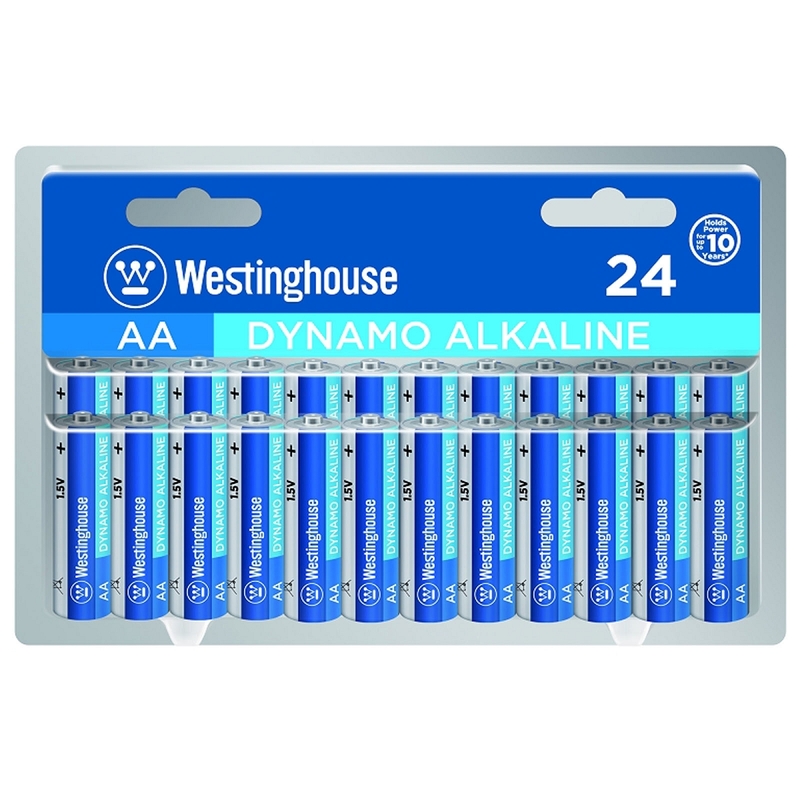 This 24-pack of Westinghouse Dynamo Batteries is a good purchase for any household.